Desc: Sterling Silver enamel and Chrysoprase butterfly earrings. The ear wires are fashioned from Sterling Silver. The Sterling Silver butterflies have green, yellow, black and white enamel mounted on the wings. 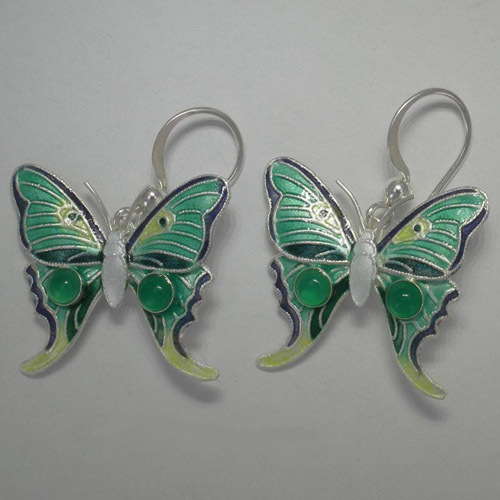 Two round cabochon cut Chrysoprsase are bezel set on the wings of each butterfly. The earrings have bright polish finishes.